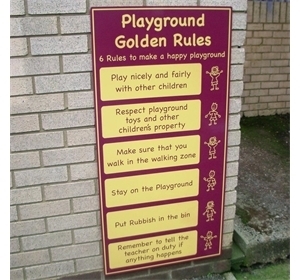 Choose or ask us to modify our existing rules if you wish. 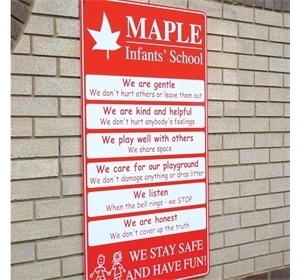 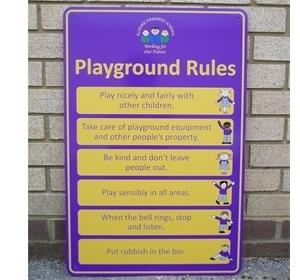 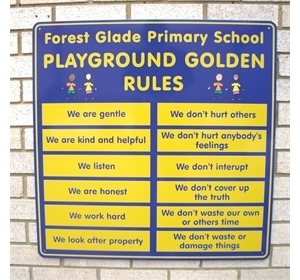 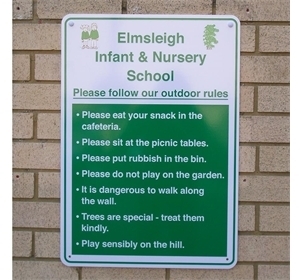 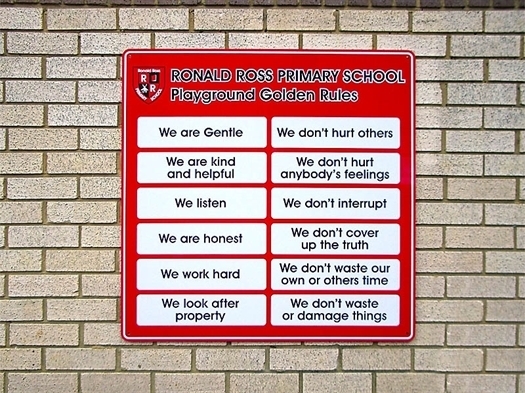 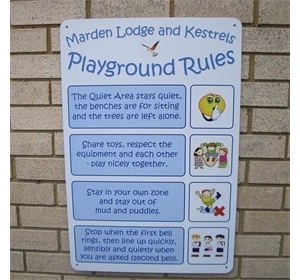 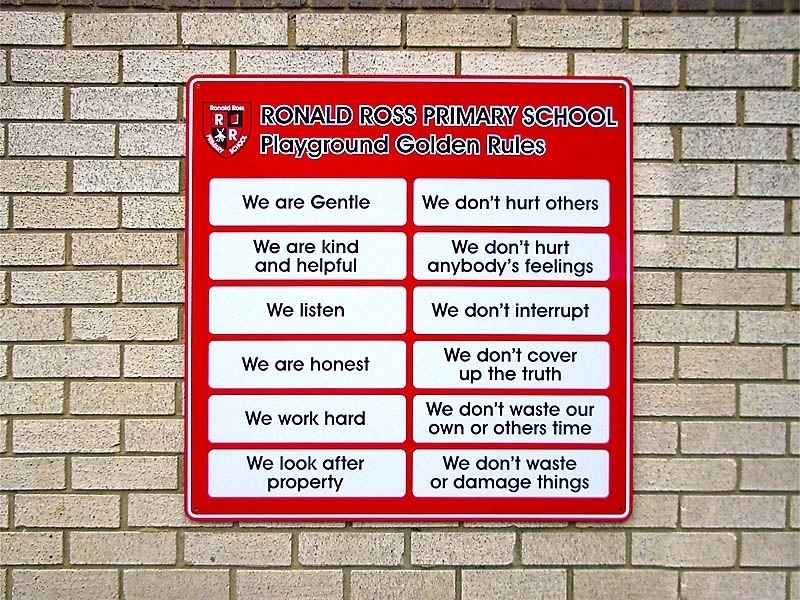 Our Playground Rules Signs are designed to be robust, colourful and in a range of designs and sizes. 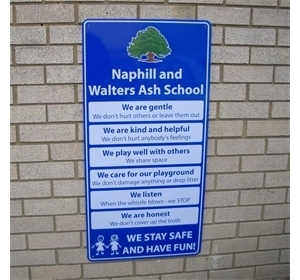 These signs come with anti vandal film fitted as standard. 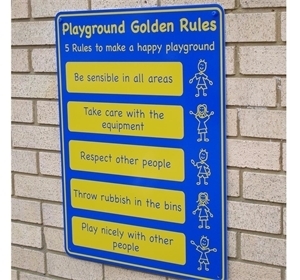 Styled to brighten up the play areas but to remind youngsters of standards and behaviour required.